Abbas puts a new twist on the word “unilateral” and explains to Obama that the PA statehood bid to the UN actually is not unilateral. 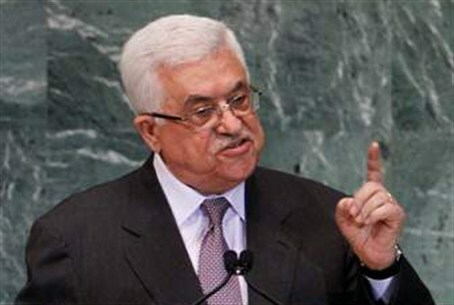 Palestinian Authority PA Chairman Mahmoud Abbas has put a new twist on the word “unilateral” in a letter to President Obama, to whom he explained the PA statehood bid to the United Nations actually is not unilateral. His letter came a day after Susan Rice, U.S. Ambassador to the United Nations, told the Security Council on Monday that the PA proposal to the UN would "jeopardize the peace process and complicate efforts to return the parties to direct negotiations." The move circumvents direct talks with Israel for the establishment of the Palestinian Authority as an independent entity and is a direct violation of the Oslo Accords, which prohibit either side from taking unilateral actions. However, the decision to go the UN for recognition of the Palestinian Authority’s territorial and political demands and obtain a non-member status “was not an 'unilateral decision,’” Abbas wrote, according to the Palestine News Network. As he has done with the twist on the word “unilateral,” Abbas has said that “negotiations” do not mean reaching a compromise on PA demands but rather is defined as Israel’s deciding when to agree to the PA terms. It is meaningless to negotiate borders, for example, if the PA decides them unilaterally in a statehood bid and borders are the main issue up for negotiation. Abbas' Political Advisor Nimer Hammad confirmed in his letter that, "This step came to improve the Palestinians' right on their land, considering it as an occupied land and not as disputed territory. This step doesn't aim to isolate Israel but to obtain an international recognition that facilitates negotiations." Abbas wants Jerusalem to be the capital of a new Palestinian Authority state, with no Jews allowed to live within its borders, which would include all of Judea and Samaria as well as eastern, southern and northern Jerusalem. The Palestinian Authority is trying to mount a campaign against American opposition to the proposal to the United Nations, expected to be introduced on the November 29 anniversary of the UN partition plan that granted a small area of the area, under the British Mandate, to a new Jewish state.